The 41 year old mall Sherway Gardens, is getting a little something done! A little as in $350 million, the revitalization and expansion will take approximately 45 months to complete and will commence January 2013 . An additional 210,000 square feet of retail space and a remerchandising of an existing 90,000 square feet. Whew! Now that's a make-over. The expansion will also include the first Nordstorm department store in the Greater Toronto area. An expansion of Harry Rosen and Sporting Life's flagship store. Recent openings include Tiffany & Co., and Forever 21 slated to open November 2012. 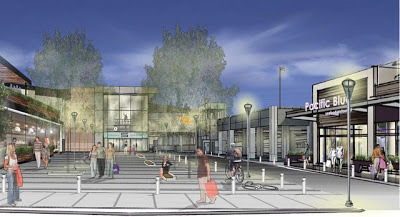 “Food is going to play a much more important role, helping to establish and extend the Sherway Gardens experience as an attractive dining destination, day or night,” said Andy Traynor, General Manager, Sherway Gardens. “We are making room for four new full-service restaurants, while literally elevating the prominence of our food court,” he said, referring to its relocation within the mall. The best part is, I'm only a 15 minute drive away. Anyone else in the Toronto area shop at Sherway Gardens? Sounds like a huge project!